Hopefully, our quick guide will spark your interest in gem stones, of which there are many more than the Birthstones we have covered in this ‘Quick Guide’. If we have caught your imagination and you would like to know more, there are many different Gemmology Courses available, at all levels. It will make a special ‘gift’ for a friend or relative, and at only £2.50 will not exactly break the bank – (discounts for quantities). 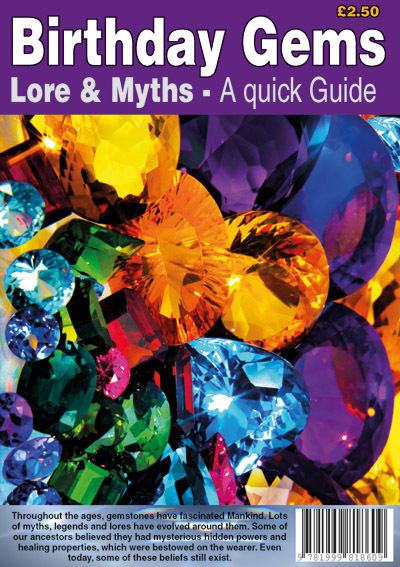 If you have a retail outlet you may wish to sell some booklets or even give them out as a gift to special customers and it will soon be on sale at various locations around the Jewellery Quarter.